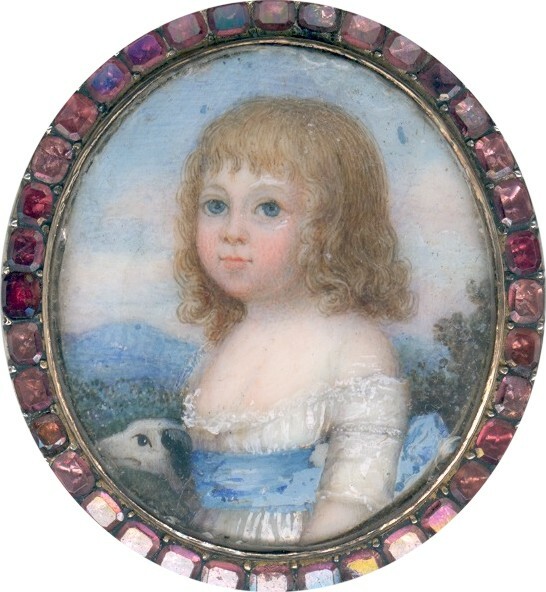 This is a delightful portrait of a young child with a black and white pet dog set against a landscape background with hills and trees. 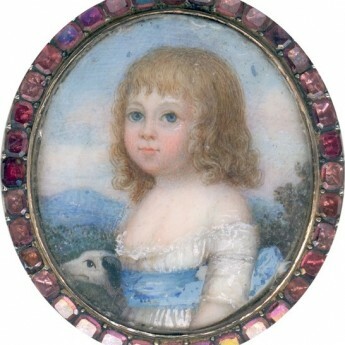 The child has long blonde curls and blue eyes and is wearing a white muslin dress with a low lace-edged neckline and narrow sleeves, with a broad blue sash at the waist. There is a small area of paint loss on the blue sash and slight edge chipping to the underside of the glass (not visible to the naked eye) but otherwise the miniature is in very good condition. Set in a pretty gold (untested) frame set with garnets. 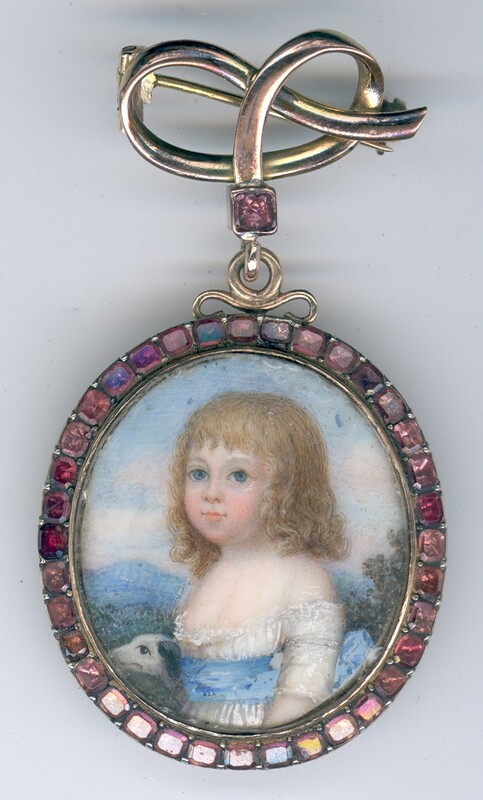 The frame is suspended from a gold-plated fob in the form of a knot set with a further garnet.